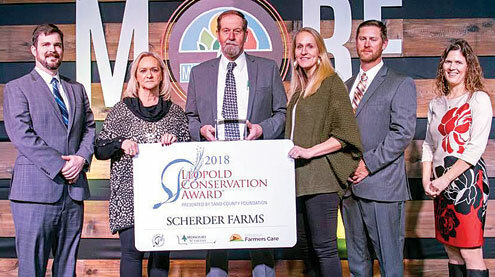 Scherder Farms of Frankford was announced as the recipient of the 2018 Missouri Leopold Conservation Award at Thursday, Jan. 10 Governor’s Conference on Agriculture. 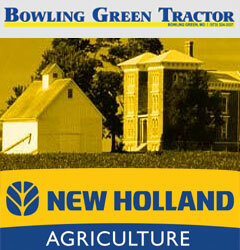 The prestigious award honors Missouri farmers’ achievement in voluntary stewardship and natural resources management. John and Sandy Scherder farm with their daughter, Holly, and son-in-law, Curtis were on hand to accept the honor. Pictured with them are Ashley McCarty, right, of Missouri Farmers Care, and Lance Irving, left, Sand County Foundation National Director for the Leopold Conservation Award Program.